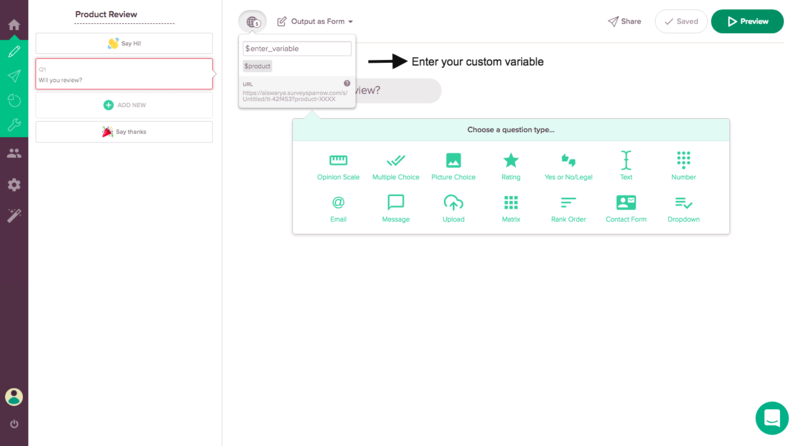 Custom param lets you categorize your survey respondents with a tag. 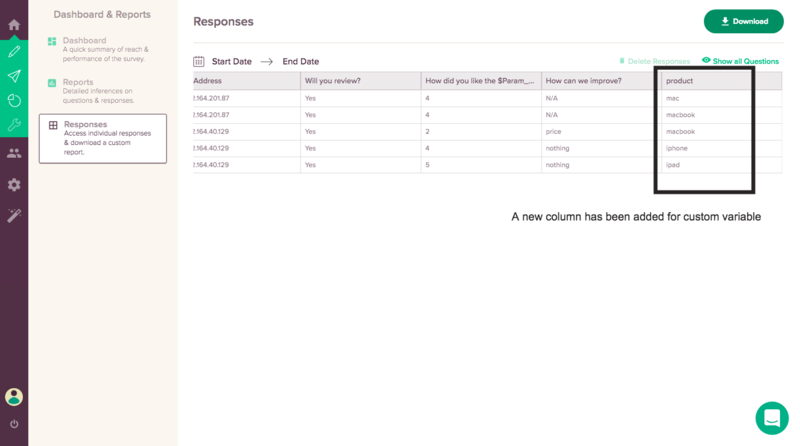 You can use this to monitor the responses and identify how each category of users responded to your questions. For instance, you are running a global survey and you want to track the responses relevant to each country. You can create any number of categories (countries in this example) and monitor the responses that falls under each category using Custom Param. Likewise, you may track the location, source, or name of survey takers using Custom Param feature. You can do this by adding a custom variable and passing along the variable with survey URL as key and value pair. SurveySparrow will submit this as a hidden value and let you monitor the survey results based on these categories. Click on the globe icon placed at the top to add new custom variable. For example, add '$country' to the question to create your custom variable. Enter the custom variable in your question. 2. Pass the variable and its key by adding it (?variable=value) manually to the end of the URL. You can do this by typing '?product=macbook' at the end of the URL for respondents who purchased macbook. 3. 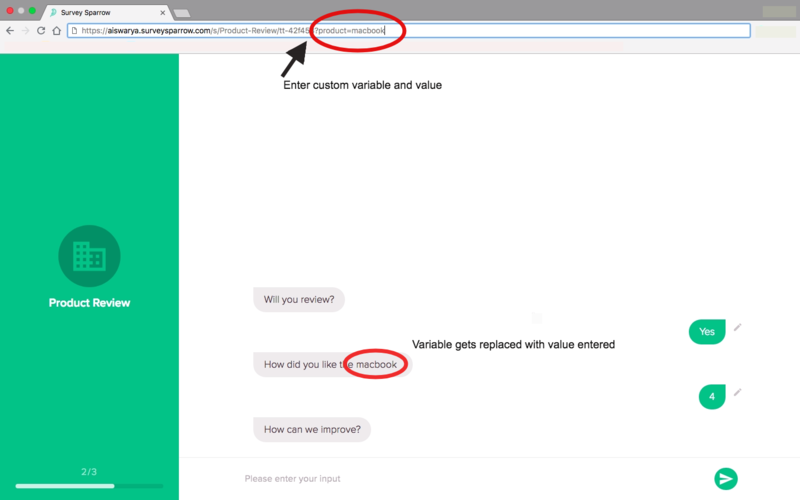 These hidden variables are tracked by SurveySparrow as you share the URL with your respondent groups. 4. In the survey results, under Reports, you can see the custom column with the responses relevant to the variable you set. 5. You can now download these responses in Excel or CSV format and proceed to slice and dice the data.